Janitorial services include any task that is used to clean or maintain a building. For most janitors, their primary job duty is to work as a cleaner in a hospital, home, commercial, or educational setting. Employment opportunities are quite varied throughout the industry. Some workers are independent contractors. Franchises are common, even if an individual works on their own. 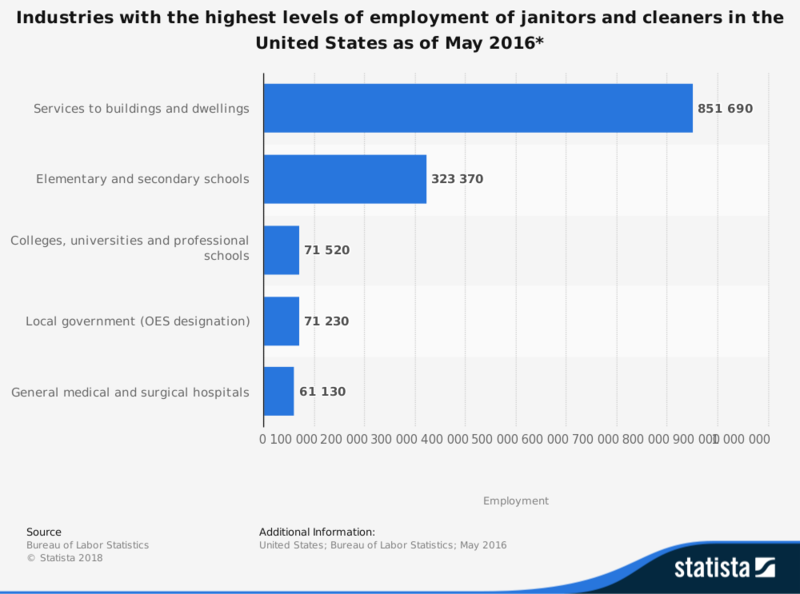 School districts often hire janitors to work full-time with full benefits. The future of the janitorial services industry relies on the ability for employers to implement best practices and employees to follow them. This allows for accurate estimations for cleaning contracts and maximizes the productivity of each worker. Easy access to MSDS information and worker safety stations will decrease downtime and increase worker safety simultaneously. 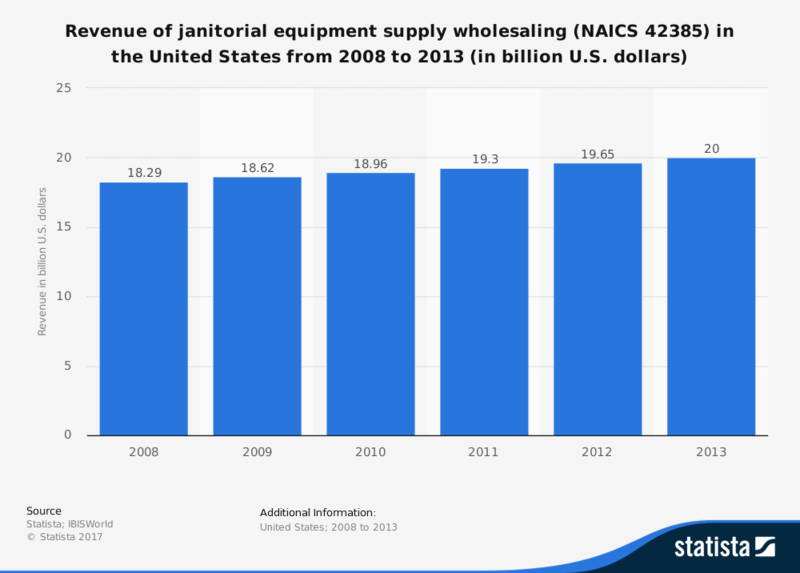 Janitorial services are often the first cuts that are made when organizations need to take cost savings measures. With new cleaning products on the market that require specialized training, along with LEED and CRI regulatory agencies getting involved to protect indoor environments, the quickness to cut cleaners may soon change. There will always be a need to clean up in commercial, residential, and industrial settings. Niche segments, such as water damage or crime restoration, will continue to move forward with strength. 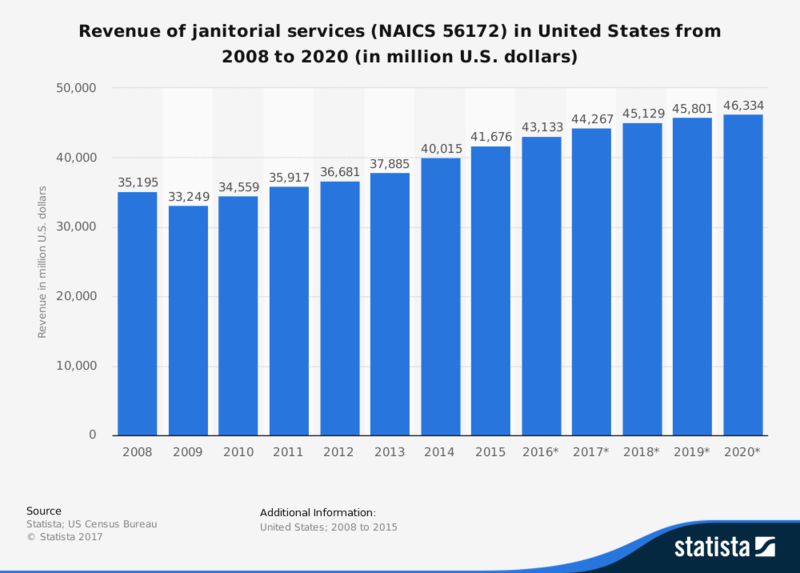 That makes the janitorial services industry a secure industry which will likely achieve its 5-year and 10-year forecasts.